This advanced digital toolkit is the result of crowdsourcing by OSINT community members on GitHub. The initial list was derived from i-intelligence’s OSINT Tools and Resources Handbook and is being developed and updated by the OSINT community members. I-intelligence is dedicated to helping improve the ability to collect, analyse, manage, share and communicate information, whether in support of government policy or in pursuit of competitive advantage. When you first see a list of tools like this, you probably think, blimey! where do I start? The key is to build a workflow that uses a mix of tools and techniques to achieve a required outcome. 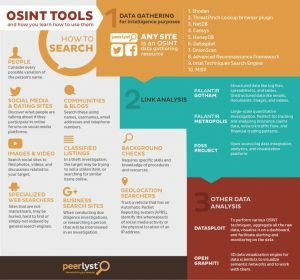 Here is a useful guide on creating an OSINT workflow from @tenacioustek , here is a fantastic overview by Maarten Schenk on how he used a range of OSINT tools to uncover a Macedonian fake news network, here are Top 10 OSINT search tips from Arno Reuser and here is Bellingcat’s online investigation toolkit. Explore, stay curious and have fun. 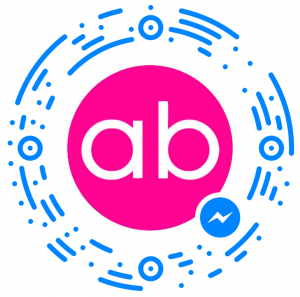 The ABA website and all content and links go through a full daily scan by SiteLock. Top Tip: You can scan the QR code at the bottom of the page and install the Advanced Digital Toolkit as an app onto your mobile device.